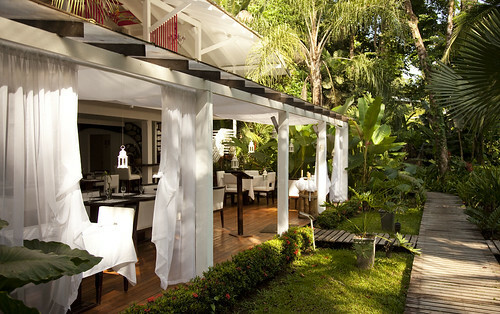 By the time I arrived at the Le Caméléon at Puerto Viejo de Limon, I was ready for a long and comfortable nap. Having just ridden on a bus for 16+ hours, I, like many travelers in Costa Rica, was ready to stretch out my legs and take in some “pura vida” vibes. Without too many expectations, I was secretly crossing my fingers, dreaming of a hot shower. 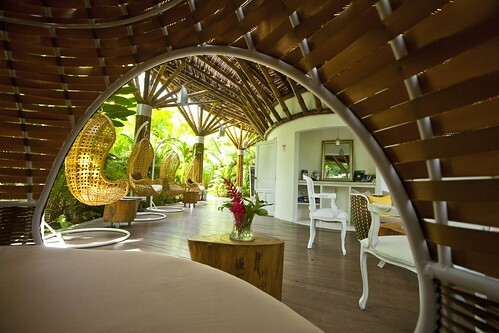 After living in Costa Rica for a few months, this would be a real luxury. 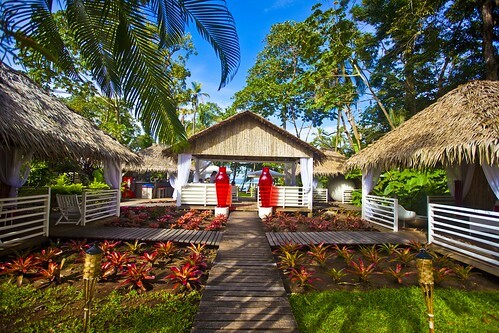 “Pura vida ” is a local phrase that I highly suggest you acquaint yourself with as you plan your travels to Costa Rica. After a season living, traveling and researching the meaning of this phrase, which technically translates to, “pure life”, I discovered that Pura Vida is also a greeting, a salutation, a description for your mood, and mainly, it is the tico (Costa Rican) way of life. Laid-back, peaceful, joyful and natural; this is how I would describe the locals you are sure to meet when visiting Puerto Viejo de Limon. 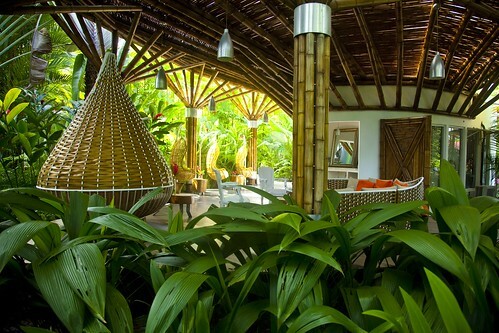 Add that to the beauty, luxury and graciousness that you find at Le Caméléon, and you truly find a pura vida experience like no other. And if you’re someone who appreciates nature, I would suggest visiting during rainy season (May-October) for an even more intimate experience with the wildlife surrounding you. I’d seen photos Le Caméléon, and been in touch with their friendly staff, which kindly directed me to the exact buses to arrive at this upscale boutique hotel, which opened it’s doors in 2009, and provides beach accommodations via 23 all-white minimalist rooms, a pool surrounded by the lush tropical forest, a beach-side café and restaurant. 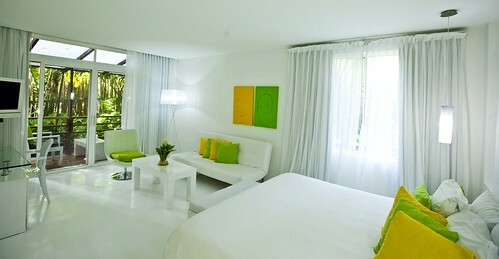 This is the kind of luxurious place to rest your head after months of travel, or perhaps as a romantic weekend getaway. Have you ever seen Jurassic park-style-plants? I learned that just six years ago, when this boutique hotel opened its doors, the plants were the size of houseplants. And now, walking through the courtyard, past the glistening pool, as the droplets of rain pitter pattered on the gigantic leaves of plants that stood 3-4 meters above me, all I could do was marvel at nature, and of how it continues to grow and evolve. Le Caméléon creates an experience that helps one forget that they just sat on a hot bus for 16+ hours. One finds peace in a whole new way here; one might even find their idea of what pura vida means to them. Each one of its 23 rooms features A/C, Satellite TV, WiFi, Mini Bar, phone, Ipod/Iphone docking station and Yves Rocher amenities. The beds come in a few sizes to choose from, and whether you’re in a king, queen or full size bed, you’ll feel like you’re sleeping on a cloud. When you decide to venture out of your room, you’ll discover one of the most visited destinations in Costa Rica, and for good reason. The town of Puerto Viejo has it all; white sand beaches, surfing, incredible food, and national parks are within driving distance. The friendly staff will help you book a tour, with options ranging from horseback riding, kayaking, deep sea fishing; even visits to indigenous communities . 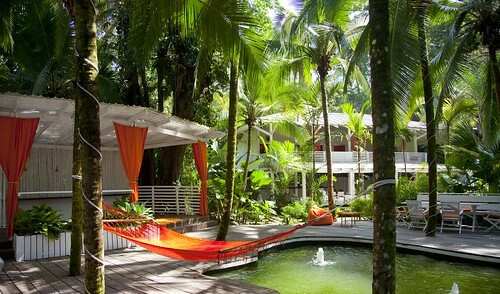 You might choose to stay at the hotel for a private yoga class, or spa treatment in a tree house. Hang out in the pool or water Jacuzzi, and enjoy a complimentary traditional tico breakfast at the Numu restaurant and then lounge around at La Sula Sea Lounge with it’s day-beds, hammocks, lounge chairs, and full bar and restaurant service right on Cocles Beach. Whether you’re coming to Costa Rica for just a few days, or traveling around for a few months like I was, what you’ll discover here is sure to inspire you long after you’re gone. The sugar is still sticky, and the bugs still fly and have been known to bite. Yet in this jungle oasis, there is a sense of luxury, peace and calm. And in case you were wondering, I absolutely got my hot shower. I even treated myself to two. Pura Vida, indeed.